APCO seeks collaboration with prospective pharmaceutical firms who are looking for manufacturing facilitates. As we are a dedicated CMO (CONTRACT MANUFACTURING ORGANIZATION), with ISO 9001-2000+ HACCP, GMP certifications, manufacturing wide range of 500+ quality products at affordable price for many companies. 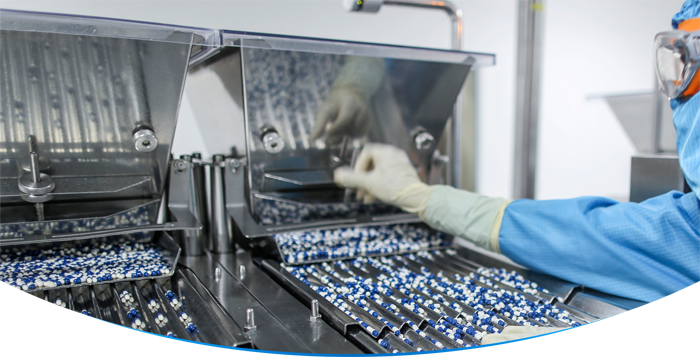 Our CMO has built a strong reputation based on the company passion & commitment to achieve the highest possible quality of its manufacturing products, which is trusted by healthcare professionals and patients across globe. Company is having a lot of spare capacity in tablet beta Lactum and Non–beta Lactum section as we have 5 rotary punching machines and 7 packaging lines along with Alu-Alu packaging. Besides this, company has 2 automatic liquid lines having capacity to fill more than fifty thousand bottles per day. We have 2 capsules section beta lactum and Non-beta lactum, we have separate section for dry syrup. We assure you for quality product, timely delivery and reasonable price to compete you in the present scenario. We welcome the interested company for contract manufacturing opportunity with us.